In bone marrow transplant world, every day is numbered. The day of your transplant is day 0, and then you number every day after that. Today we are almost to our 2 week mark at day 13, and boy, has it been a roller coaster! Our first week went about as expected. Ethan was sick. He got mucusitis, which are like cankers in your mouth, down your throat and into your intestines. Thankfully Ethan's wasn't in his mouth, but he had a killer sore throat! He was nauseous and completely stopped eating and for the most part stopped drinking. He is living off of IV nutrition and fluids. He hasn't had energy, and has been having some bladder and bowel issues caused by all of the medicine that is going into his body right now. 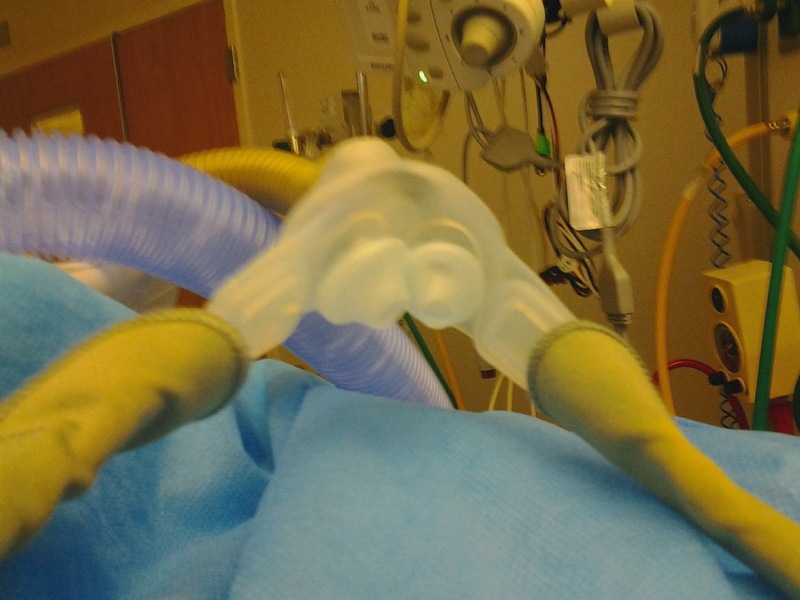 His breathing was a little labored because of the paraflu that he had before he went into transplant, and the mucusitis closing off his airway. Our second week was more of the same, only more intense. His breathing became more labored, and he was put on oxygen. 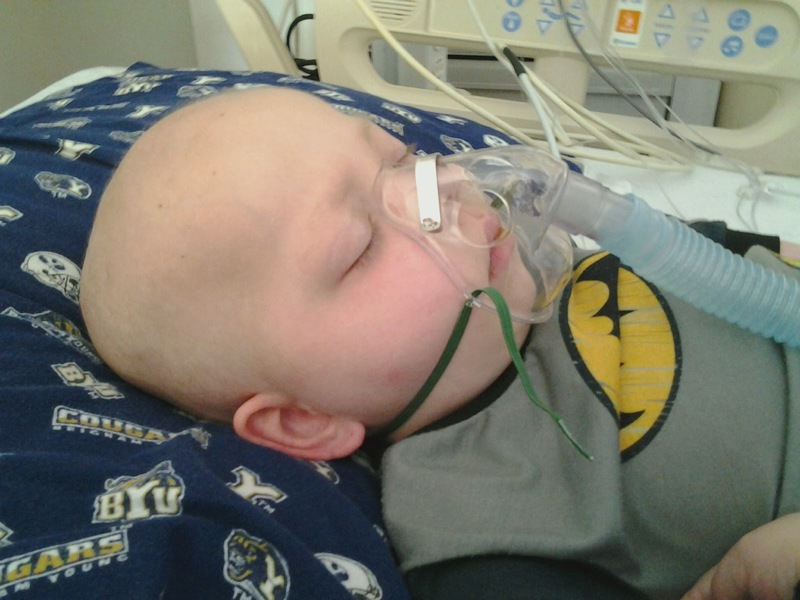 We tried both a mask and a nasal cannula, but neither were working well enough for him. The regular oxygen ended up not being enough, so we were sent down to the PICU (pediatric intensive care unit). There he was put on positive high air flow. After 2 days in the PICU, we were sent back up to our room in ICS. The whole time we were in PICU, he just kept saying that he wanted to be inpatient, meaning he wanted to go back to our room, so he was happy to be back in a familiar place with familiar nurses. The day we left the PICU, he also started fevering. They said this was normal at that stage of transplant, but he had a fever off and on for 2 days. The fever is gone now, so that is good. It has been so hard seeing him so sick and in pain. He does 2-3 anti nausea medications, and he is on a dildaudid pump for pain (he was on a morphine pump, but it was giving him headaches). He has several antibiotics, and he has some medicines to help him go to the bathroom since all of the other medications make that hard to do. He is also doing some steroids to help reduce the inflammation in his throat. The steroids are tricky because they could contribute to graft vs. host disease, but they were necessary to help him breath. 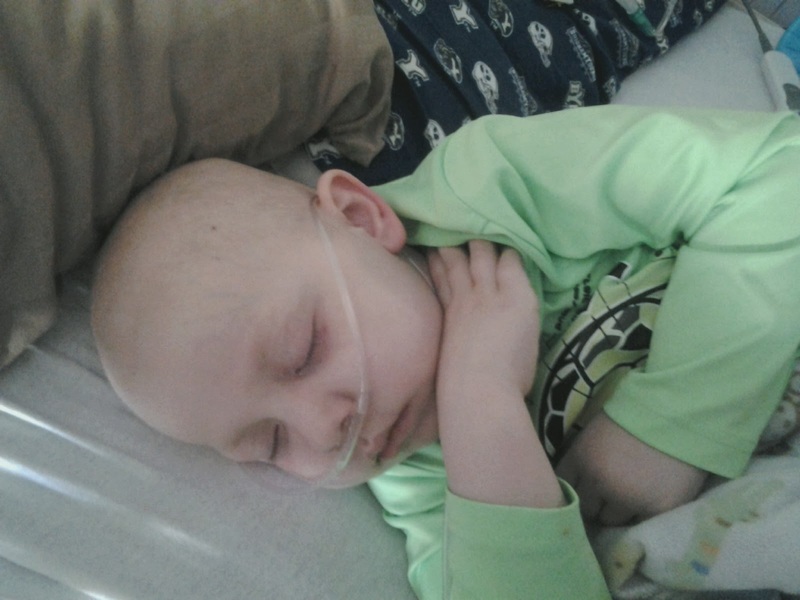 Today Ethan has been breathing better and feeling better. 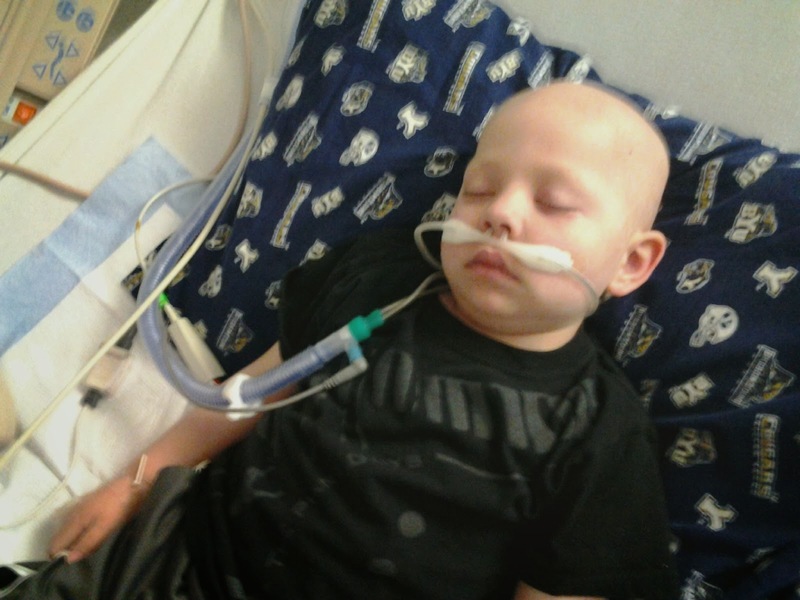 He has a white blood count of 200, which his new bone marrow produced all by itself! This is a good sign that engraftment is in his future. We are hoping that things are on the uphill now, but time will tell. We have spent many sleepless nights both at the hospital and home. There was one night that Merrill didn't get to bed until 9 am. Ethan needs a lot throughout the night, and there are always nurses and BEEPING (oh, the beeping) of the monitors! Blake decided he wanted to crawl out of his crib, so we are training him to sleep in his bed, but he has had a hard time with the transition, so even when we are home, we still don't get a good nights rest. We just decided that we will not plan on sleeping, and if we happen to get a few hours in, we will be grateful! I can't even begin to tell you how grateful I am to everyone who has taken such an interest in our family. I am so grateful for the support we get from our family, friends, neighbors, and even people I don't know. We are truly blessed to have such wonderful people in our lives! THANK YOU from the bottom of our hearts! We are family of Laura and Dave and we live in Indiana. My family is praying for you. All 3 of my boys pray for Ethan in each prayer they say.